Bonel Balingit was one of the early big men that towered the PBA with his 6-foot-9 frame. 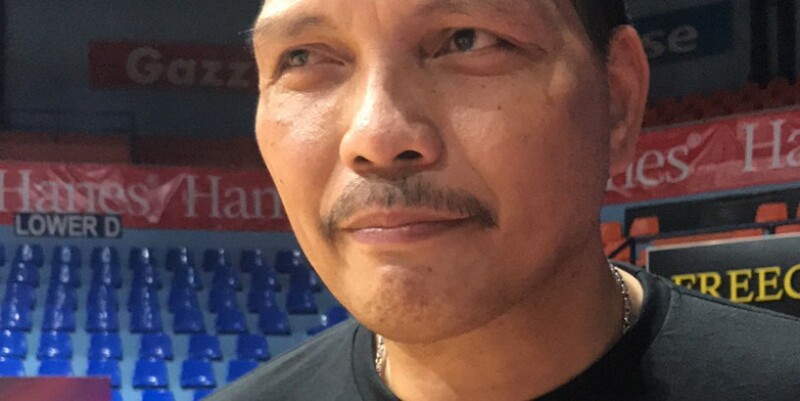 Coming in the league at 1992, he was the first of that height before EJ Feihl, Marlou Aquino, Asi Taulava and Andy Seigle came into the picture. Since then the PBA saw the coming of big men like Mick Penissi, Yancy De Ocampo, Rafi Reavis, Joe Devance, Sonny Thoss. Now, more big men with incredible athleticism are enjoying their years in the PBA. Among them are June Mar Fajardo, Japeth Aguilar, Greg Slaughter, Raymond Almazan, Yousif Taha, and Ian Sangalang. Through the years, Balingit can’t help but look back on how the game evolved with more players at his height coming in the league and even playing the three and four position. He also looks forward to more big men come in the league raising the bar of the competition. “Noong panahon namin, panahon namin yun. Ngayon, eto na yung panahon nila June Mar, Slaughter at iba pang big man. Marami pang darating na mga big man. So natutuwa kami na meron pang mga big man na nagpapakita ng kanilang galing katulad ni June Mar,” said Balingit. As compared to the 90s, big men camp down low. Now, he sees taller players take their game to the perimeter. Heading on to the next decade, Balingit is riding the hype and along with other local basketball fans. He is excited to see 7-foot-1 Kai Sotto raise his game to the professional ranks. “Alam mo bihira ka ring makakakita ng ganun katangkad na Pilipino. May talino rin sa laro. Sa basketball, hindi lang yun sa galing,” Balingit said of Sotto. With the lanky frame of the Atenean Center, Balingit hopes Sotto develops his body to help him further dominate the basketball court. Balingit is set to make a brief return to the hardcourt along with his 90’s contemporaries on a PBA: Return of the Rivals exhibition game on February 17 at the Araneta Coliseum. He will suit up for the TJ Hotdogs with Alvin Patrimonio, Jerry Codinera, Glenn Capacio and Dindo Pumaren against the Ginebra legends. The first game will feature the San Miguel Beer legends go up against Alaska legends. Games will be aired on UNTV.